The run-up to the parliamentary elections in Georgia underlined how much was at stake for the ruling Georgian Dream coalition and its main rival, the United National Movement (UNM), when Georgians cast their votes on October 8. Opinion polls had suggested a head-to-head race as many voters were undecided and disappointed by both parties. This disaffection was reflected in the low turnout of 51.6%, reportedly the lowest ever for a parliamentary election in the country. 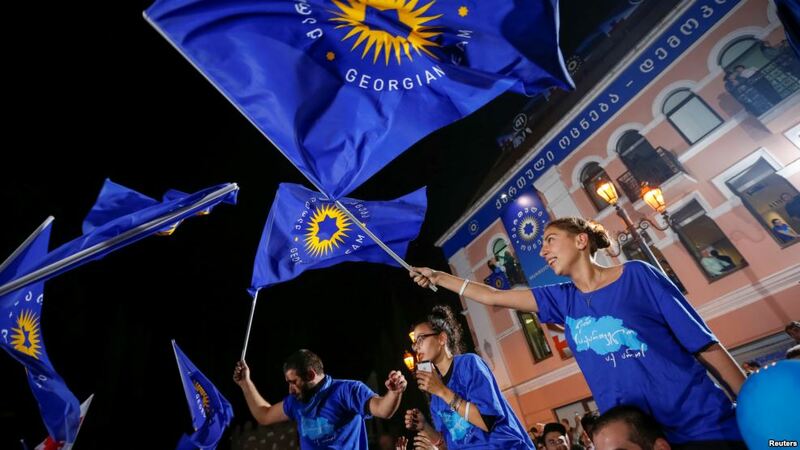 In the end, Georgian Dream celebrated a much bigger victory than expected while former Georgian President Mikheil Saakashvili was forced to postpone his return to Georgia indefinitely. The Georgian Dream-Democratic Georgia (GDDG) party won 48.67% of the vote, whereas Saakashvili's UNM received just 27.11%. Only one other party passed the 5% threshold needed to get into parliament: the pro-Russian Alliance of Patriots of Georgia (APG). The Free Democrats (FD) led by former Defense Minister Irakli Alasania didn't make it into parliament, receiving merely 4.62% of the vote. 77 out of 150 seats in the Georgian parliament are determined by proportional representation. The remaining 73 are elected in local constituencies. Georgian Dream's 48.67% translate into 44 parliament seats. The United National Movement secured 27 seats and the Alliance of Patriots 6 seats. Moreover, according to preliminary results, GDDG candidates are winning outright in 23 constituencies, bringing the total number of Georgian Dream seats to 67. Second round runoffs are expected in 50 constituencies. In light of the devastating election results, the United National Movement briefly considered boycotting the new parliament and second round runoffs but ultimately decided against it, ignoring the advice of UNM founder Saakashvili who warned that participating in the runoffs "would actually legitimize the elections held with gross violations." "I think, that the UNM ran a good campaign and they should feel proud of the campaign that they conducted and I would very much expect them to approach this situation in a calm and peaceful way and take their seats when the time comes." As the Financial Times' Jack Farchy noted, the election result "is unlikely to alter Georgia’s pro-western foreign policy, with both Georgian Dream and UNM favouring closer ties with the west." Both parties are strongly committed to Euro-Atlantic integration and Georgian Dream has spared no effort to lead the country into NATO. That is why Washington doesn't feel the need to take action - for now. However, the bad performance of Irakli Alasania's Free Democrats and the remarkable success of the Alliance of Patriots, which favors greater integration with Russia and opposes Georgia's accession to NATO, could cause concerns in the West. These results illustrate a noteworthy trend of rising pro-Russian sentiments and declining support for Euro-Atlantic integration in Georgia. After the Free Democrats failed to garner 5% of the vote, former Defense Minister Alasania announced that he will temporarily leave politics and not participate in the second round runoff in his district. During his time as Defense Minister, Alasania was arguably the most popular Georgian politician in Brussels and Washington. He was seen as the man who would lead Georgia into NATO. His sacking in November 2014 caused a great stir. The fact that Alasania, who embodies Georgia's NATO aspirations more than any other politician, has now quit politics after receiving less than 5% of the vote while the pro-Russian Alliance of Patriots secured 6 seats in the new parliament, is certainly one of the most interesting aspects of the recent parliamentary elections. This won't have gone unnoticed in Brussels and Washington. About one year after Taliban forces briefly seized the city of Kunduz in northern Afghanistan, the strategic city is again on the verge of falling to the Taliban. Tens of thousands of residents were forced to flee as government forces struggled to fend off a multi-pronged Taliban attack that began on October 3. Heavy fighting engulfed parts of Kunduz for nine days until local officials could announce that the city had been cleared of Taliban fighters. At that point, the blame game was already well underway. Many residents were furious and called on the government to punish those responsible for the crisis, arguing that this wouldn't have happened if people had been held to account after the fall of Kunduz last year. "The problem should be solved; otherwise, Kunduz will again fall to the Taliban," one tribal elder said. Kunduz is one of five(!) provincial capitals that are currently threatened by the Taliban. Lashkar Gah, the capital of Helmand Province, just saw one of the worst massacres of Afghan forces in the ongoing war. According to Afghan officials, at least 100 police officers and soldiers were killed when the Taliban opened fire on them from all directions after promising the group a safe passage of retreat to Lashkar Gah. "We do have concerns about the number of ANDSF casualties and it is something we work closely with our Afghan partners to address." Afghan media noted that "the latest figures show an unprecedented rise in Afghan army casualties as compared to the previous years." According to a senior Afghan official who spoke to The New York Times on condition of anonymity, about 4,500 Afghan soldiers and police were killed and more than 8,000 wounded from March to August. As the security situation continues to deteriorate and the casualties keep rising, the Afghan government is having difficulty replacing the fallen with army and police failing to meet their recruitment goals. Unsustainable casualty rates, tens of thousands of "ghost" soldiers, poor leadership and corruption weaken the Afghan security forces and affect their ability to contain a resurgent Taliban. The current situation on the battlefield strengthens the Taliban's hand in talks with Kabul. Senior sources within the insurgency and the Kabul government told the Guardian that representatives of the two sides have been holding secret talks in Qatar since September - with U.S. but without Pakistani involvement. "Pakistan was double dealing and insincere with the Afghan government. We no longer think we need Pakistan and the Taliban think the same thing," a close aide of Afghan President Ashraf Ghani was quoted as saying. 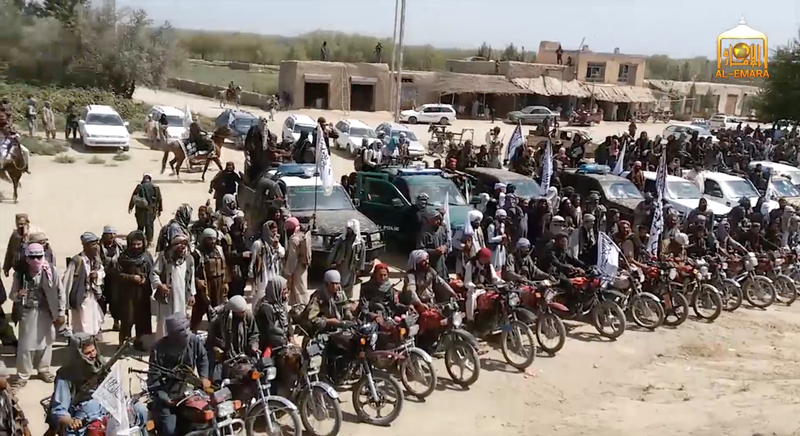 A western official in Kabul interpreted the recent arrests of senior Taliban officials in Pakistan as an attempt by Pakistan's intelligence agencies to "re-establish control over the process." Pakistan won't easily relinquish its control and new Taliban leader Haibatullah Akhundzada knows better than anyone else that the Taliban need Pakistan, so it remains to be seen if talks without Pakistani involvement can really produce tangible results.